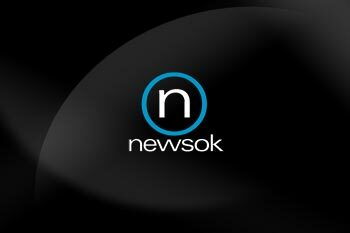 Commemorate your 50+ year wedding anniversary with The Oklahoman and NewsOK.com! We will publish free online announcements with photographs of Oklahoma City metropolitan area couples celebrating 50 or more years of marriage. Anniversary announcements for those couples celebrating their 50+ year anniversary will be published online if information is in our office two weeks before the day of publication. Announcements also may occasionally be printed in The Oklahoman Life section. We will publish announcements of metropolitan area couples celebrating 50 or more years of marriage. Good quality pictures will be published with announcements. Photos should be not smaller than 2" x 3" and no larger than 5" x 7". Please upload photo where directed. For free online anniversary notices, please contact Darla Lindauer at dlindauer@oklahoman.com. You can celebrate with a lot of Oklahoma by placing a celebration ad commemorating your wedding anniversary in a Sunday edition of The Oklahoman. We have anniversary templates available, including silver and golden anniversary. Ads are available in color or black and white. For more information, call (405) 475-3487 or e-mail celebrations@oklahoman.com. The Oklahoman is not responsible for lost or delayed e-mails. Our office hours are Monday - Friday 8am - 5pm.